Capturing the heart of the 50s/early 60s and inspired by the multi-million selling album, Dreamboats and Petticoats is a musical about teenage love and heartbreak set inside a youth club in Essex. Bringing the story of young Bobby and Laura to life are the top hits from the golden age. Young, shy and completely in love, it is a romantic tale that hits many rollercoasters on the way. As Bobby is unable to see Laura’s devotion towards him, he falls for the sweetheart of the youth club Sue, whose confidence and flair attracts Bobby’s eye. However when the new boy arrives at the club, looking slick in his leathers, Sue is immediately blinded by his beauty. Whilst he flirts with all the girls and basks in their attention, his arrogance becomes rather overbearing, and we watch as Bobby and Laura begin to discover their love for each other. The music is what makes the production so iconic, and why it’s such a longstanding production that seems to come around on tour every year. People who grew up in that era flock to the theatre to enjoy a night of nostalgia and hear some of those tremendous hits, which is why the actor-muso element of the production works so brilliantly. Live on stage the performers play their own instruments, bringing a whole lot of rock and roll to the production. The talent of the performers is exceptional and this is reflected through their vocals, moves and musical abilities. As they manage to play their instruments whilst also belting out some powerhouse vocals and performing the tight choreography, they create an excellent musical that the audience adore. A particular highlight being the superb ensemble number Shakin’ All Over which has immense spirit and energy. Elizabeth Carter plays young Laura who is crushing on Bobby, Carter captures the innocence of the role well and her vocals when performing the sweet solos at the piano have a beautiful tone. Similarly, Alistair Higgins’ performance as Bobby boasts strong characterisation as the fresh-faced young lad. Bobby’s best friend Ray played by David Luke, and Norman played by Alastair Hill both display tremendous vocal abilities. As do Laura Darton and Gracie Johnson as Sue and Donna, who have stellar vocals that blend together excellently for the big numbers. Whilst it isn’t a groundbreaking musical that is going to change your life, it’s ideal for the target audience and the people that grew up in that era. The atmosphere was incredibly lively and the audience all got up on their feet to dance and sing along during the electric finale. 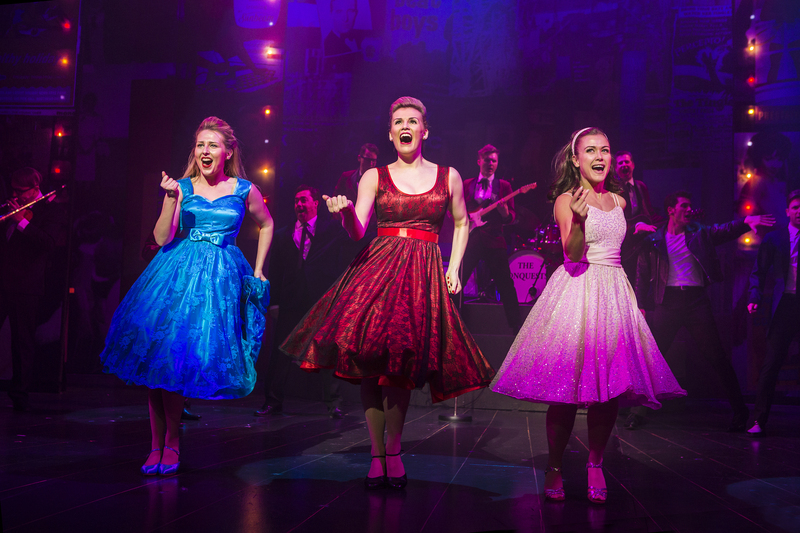 Dreamboats and Petticoats is a fun musical that showcases the best of the 50s and 60s with a phenomenally talented cast. On at the New Alex theatre in Birmingham until Saturday, tickets can be found here.